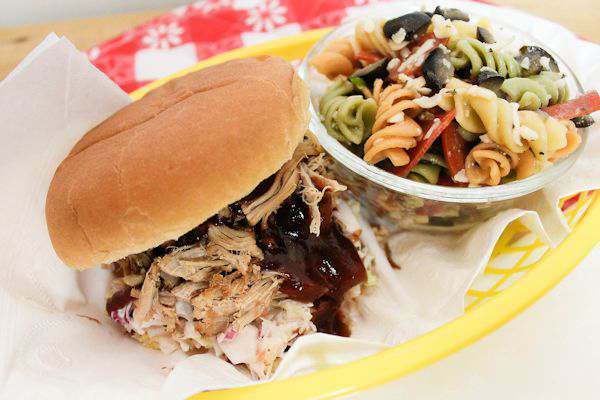 Learn how to make these easy pulled pork crock pot BBQ sandwiches the easy way. They make great sandwiches for tailgate parties too. Our family loves, loves, LOVES…….BBQ!!!!!! We love grilling just about anything, but the one thing we really don’t like is the Florida heat and having to stand over the grill for hours at a time. What’s the solution?? Use the crockpot. The perfect kitchen appliance for summertime. 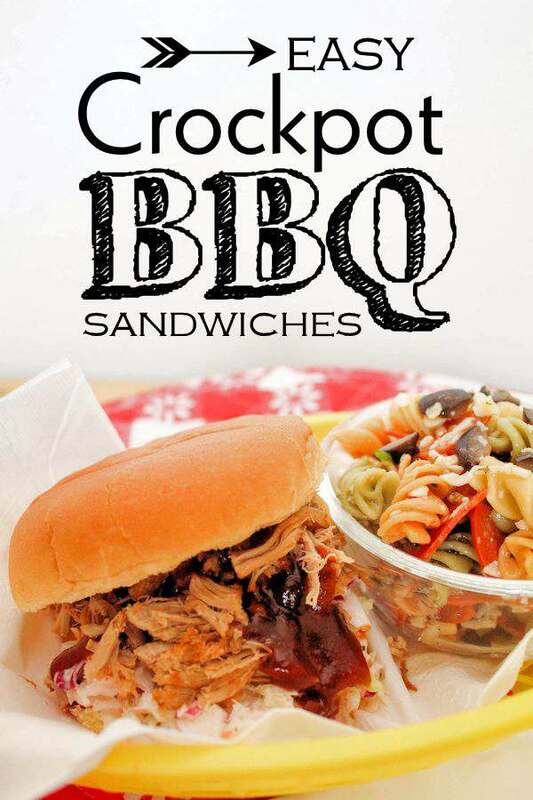 One of my favorite all-time BBQ recipes we use our crockpot for is BBQ pork loin sandwiches. This recipe is so easy, you don’t need to write it down. Seriously. Put the pen and paper away. One thing I have learned over the years is to use good pork loin but also keep the purchase in our budget. Pork loin can be rather expensive, so I buy my pork loin at Sams. Great price, very lean and the taste is some of the best around. The picture above shows Sam’s large pork loin. We tried this one once and didn’t like the texture at all. 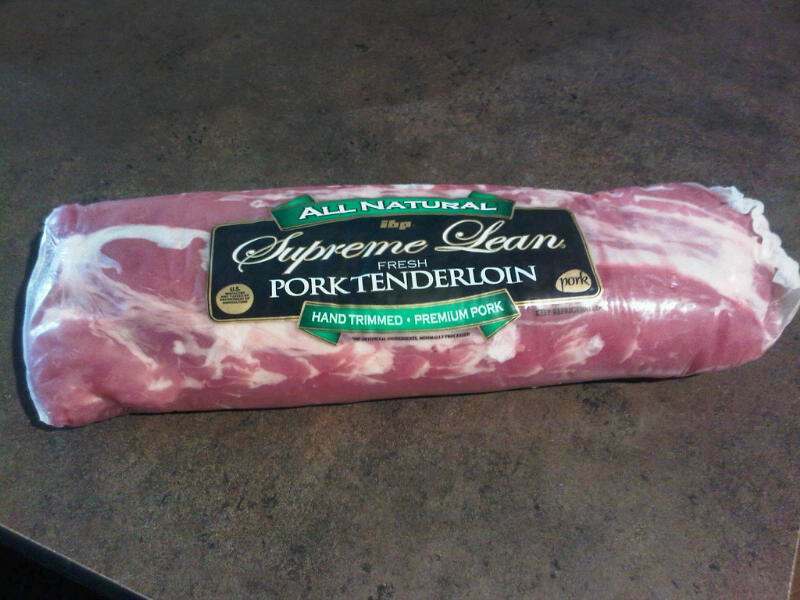 So we buy the pork loin that is divided into 2 separate packages but connected together. I just cut it down the middle and use one at a time because each package has two loins in it. So you are really getting 4 loins. For hubby and I, the one package will feed us with plenty of leftovers for later and to put in the freezer. I may buy this 2 or 3 times a year and that will satisfy us for BBQ for a year. I also love to use the leftover BBQ for my Brunswick Stew. We personally don’t like a rub on our BBQ sandwiches but if you do, put the rub all over the meat, wrap in cellophane and let sit in the fridge overnight. There are so many different types of rubs out there but we just prefer salt, pepper and maybe a little bit of Cajun seasoning for a little bit of a kick. We want to taste the meat with just a bit of BBQ flavor on the side. Place your loin(s) in your crockpot, place the lid on top and cook on low for 6 to 8 hours. I don’t add any liquid because the small amount of fat in your loin will produce that for you. Sometimes I will add finely sliced onion on the bottom of the crockpot for the loin to lay on while it cooks. Just depends on my mood that day. After the time is up, just pull apart the loin on a cutting board with 2 forks and you are all ready for some lip lickin’ BBQ pork sandwiches. The pork should just fall apart at this point. I love putting a bit of my Southern Cole Slaw on this sandwich and serve it with my Tri-Color Summer Pasta. You can also learn how to make pulled pork in the Instant Pot by looking at this recipe. I know you will love this. Not only for a really easy recipe but because you don’t have to stand over it until it’s done and you stay cool in the summertime. My husband is going to love you for this, Tammy! I was a vegetarian for many years before we got married, so I still struggle with cooking meats (even 15 years later…). This is so easy! I’m going to surprise him with it this week. Pinning! I hope he loves it. My southern born and raised hubby loves it fixed this way. Finally got over here and pinned it after seeing it at #theultimateparty and then on the Friday Favorites linkup! My husband would love this and it’s great that this can be done in the crockpot. Boy! after reading this recipe! I’m sure hungry! I love the font you used on your Easy Crockpot BB! This is one of my favorite crock-pot meals. Looks delicious, I know I will be trying this one! Oh my husband is going to love you! He literally JUST requested these the other night! Off to the store tomorrow to grab a pork loin! Fantastic! Thanks for linking up last week to Friday Favorites, hope to see you this week too! I love pork sandwiches from the crockpot. Pinning this to creative k kids tasty tuesday board. Thanks for linking up!